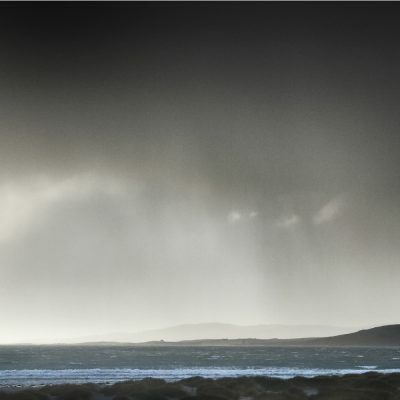 The Shipping Forecast has been running on BBC Radio since the 1920s, and supplies vital maritime weather information to those at sea around the shores of the British Isles. 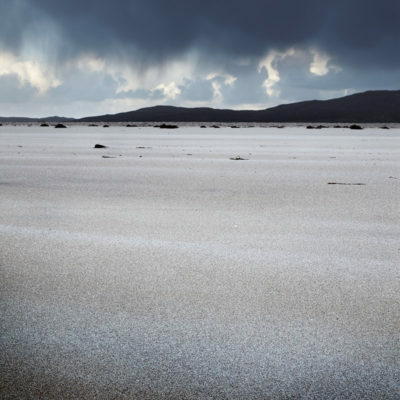 Broadcast four times a day, it also has a large audience on dry land, its enigmatic and hypnotic language having entered a part of the national consciousness. 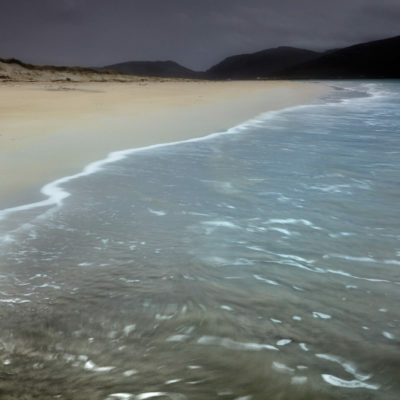 Like many land-lubbers, I have often listened to it late at night, tucked up safely in bed, the melodic tones of the broadcast serving as an aid to sleep. 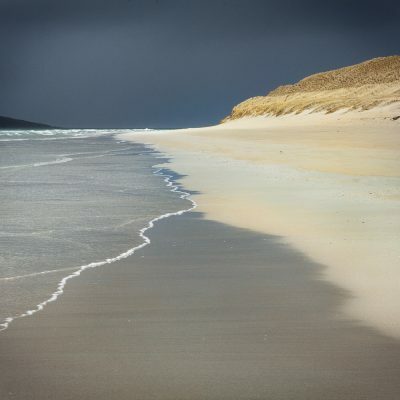 As one of the 31 sea areas mentioned in the forecast, ‘Hebrides’ always seemed a very long way away, its seas and shorelines existing only in my imagination….. 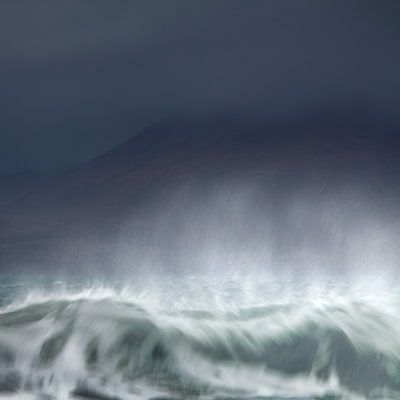 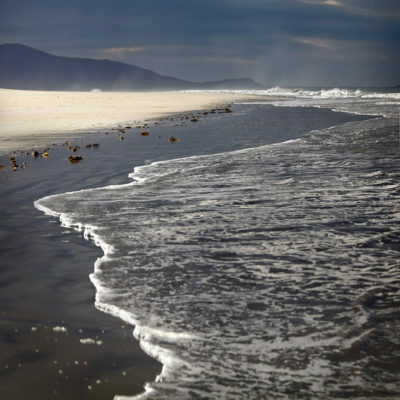 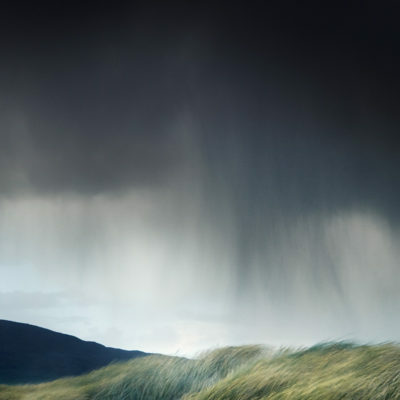 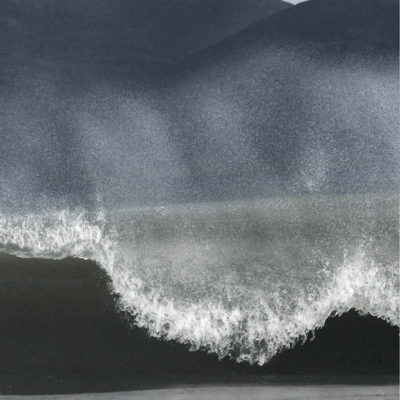 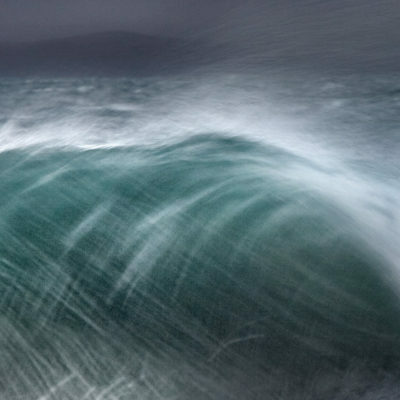 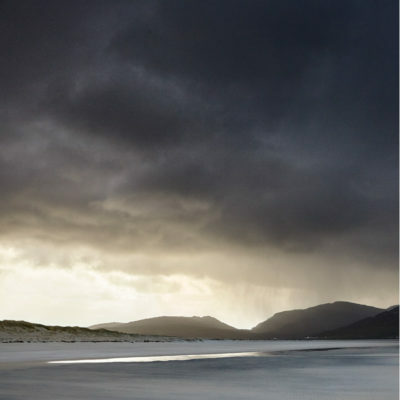 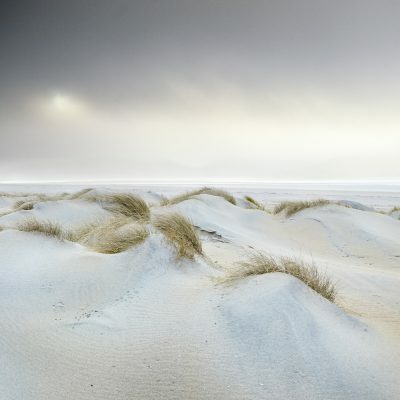 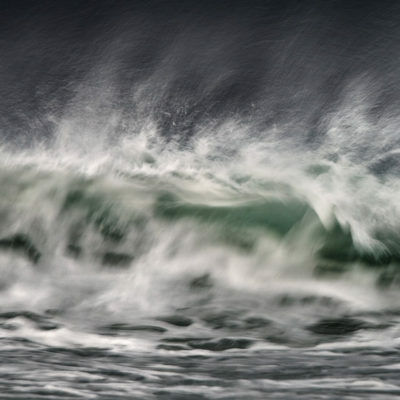 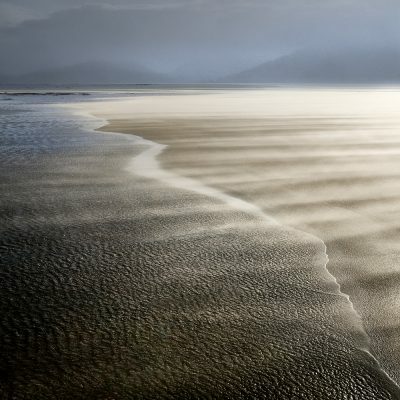 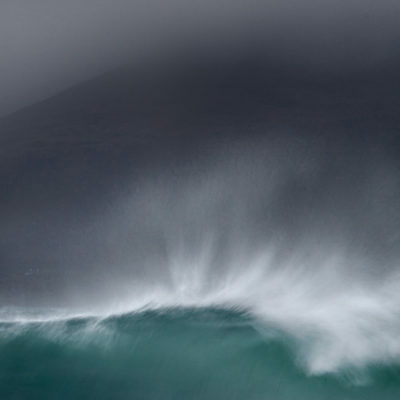 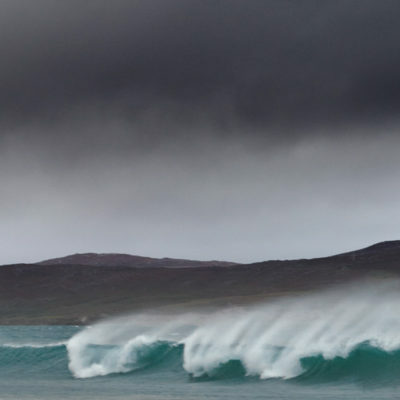 This series of images was made on the Outer Hebridean Isle of Harris, on the adjacent beaches of Luskentyre and Rosamol, on one day in October 2015 — a time of year when these islands often feel the full force of the Atlantic weather fronts. 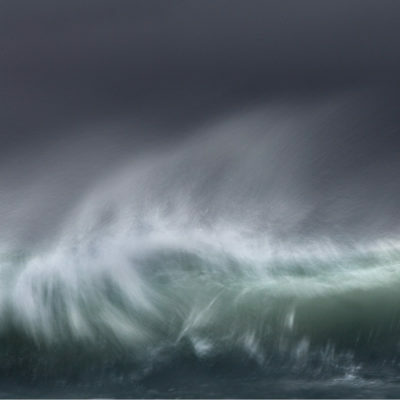 That morning The Shipping Forecast took on a new reality, exhilarating and raw, although I was thankful to be experiencing that day’s weather from the security of the shore..